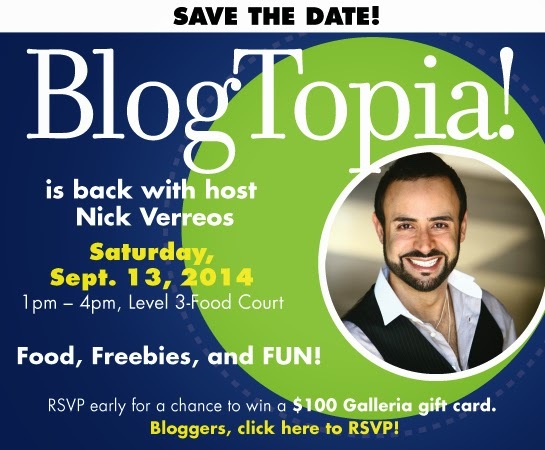 Home » 2nd Annual BlogTopia » Blogger Event » BlogTopia » BlogTopia 2014 » Nick Appearances » Nick Hosts » Nick Verreos » Nick Verreos South Bay galleria » South Bay Galleria » NICK HOSTS.....South Bay Galleria's 2nd Annual BlogTopia Event September 13th, RSVP now! 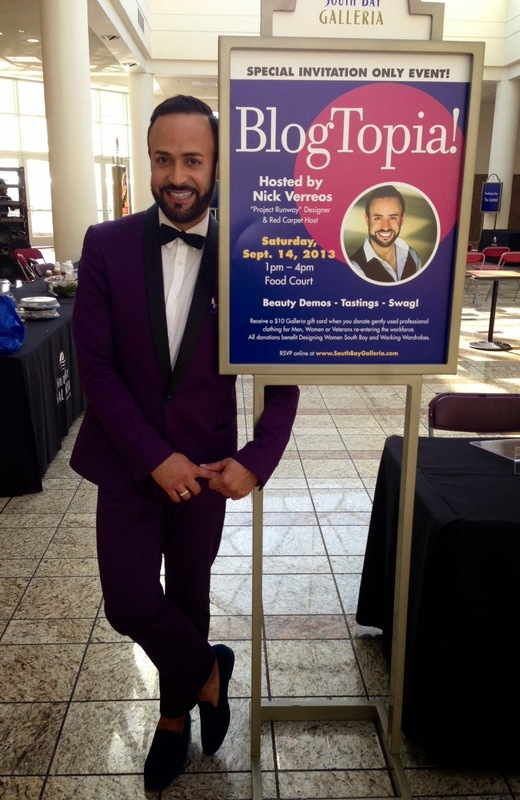 NICK HOSTS.....South Bay Galleria's 2nd Annual BlogTopia Event September 13th, RSVP now! 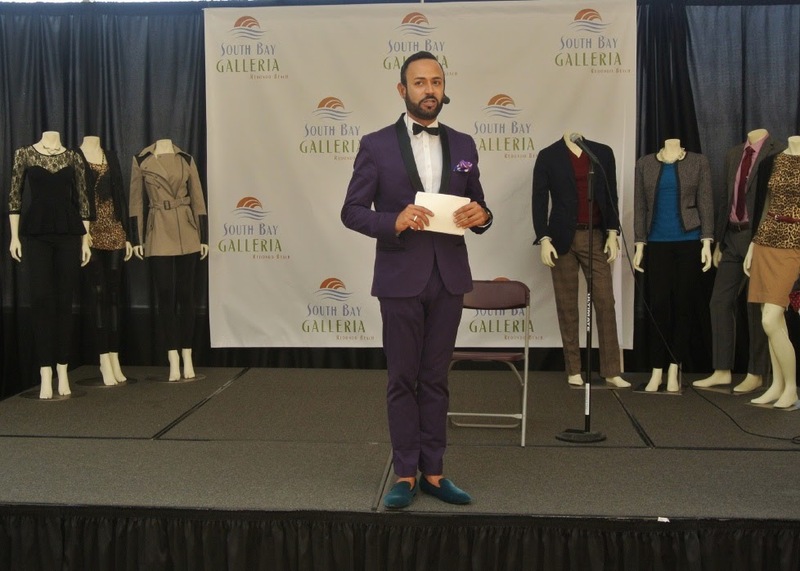 Nick Verreos Hosts South Bay Galleria's "BlogTopia! 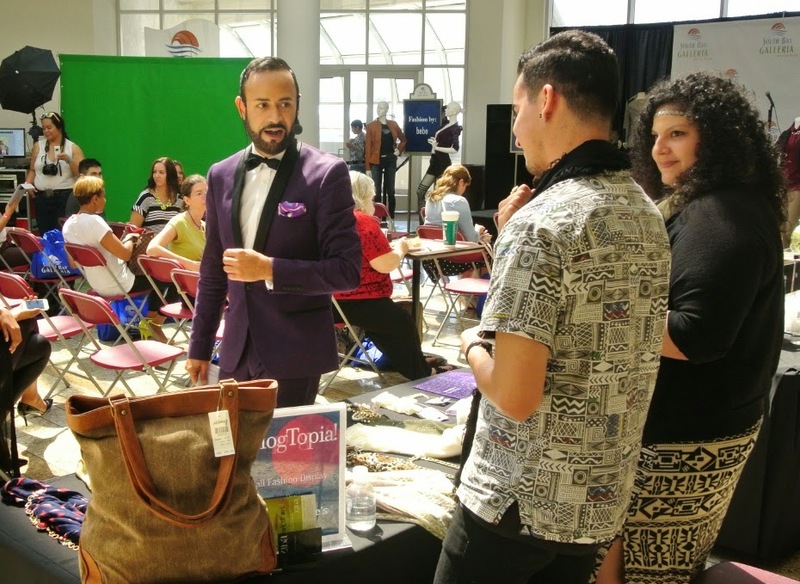 2014"
I am SO excited to announce that for the second year in a row, I have been invited to Host South Bay Galleria's "BlogTopia!". BlogTopia! 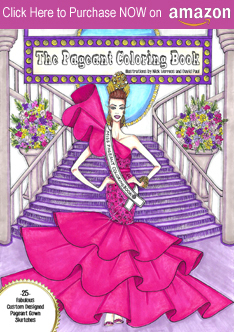 is an afternoon of fabulous Beauty Demos, Tastings and Swag (!) all just for Foodie, Fashion and Beauty Bloggers. 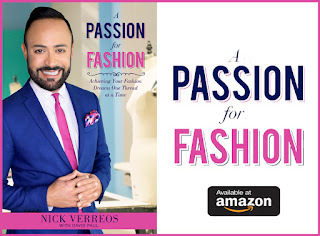 Last year's event was a wonderful success and I, especially, had A LOT of fun hosting, discussing the latest Fashion, Accessories and Beauty Fab plus much, much more--and yes, take LOTS of Instagram/Twitter/Facebook pics!!! RSVP early for a chance to win a $100 South Bay Galleria Gift Card! See You Saturday September 13th!!! 0 Response to "NICK HOSTS.....South Bay Galleria's 2nd Annual BlogTopia Event September 13th, RSVP now!"